When it comes to energizing your ecommerce presence, there are many strategies open to you, but the one piece of the digital puzzle that cannot be overlooked is the power of social media—and this is even more true every year that goes by. A strong social media strategy does more than simply build brand awareness and aid your SEO efforts. It can have a measurable ROI, bringing your customers to your products ready to check-out. Ecommerce exceeded $220 billion in 2014 and is expected to generate over $370 billion by 2017. Are you doing all you can to seize this momentum for your digital storefront? Brand awareness is where marketers began their social media campaigns, establishing the identity of a company, connecting with potential shoppers by sharing posts that might be interesting, entertaining, or relevant to their lives. Sure, over time, a brand can become well-established, but how are these social media efforts measured in terms of results? This question of how to quantify the results of social media campaigns is one of the biggest challenges to marketing departments of companies both small and large. Connections and conversations do not necessarily equate sales; however, this primary stage of a business’s social media efforts is the foundation for all else to be built upon. Many companies end their social media strategies here, but why not give your potential customers a more clear call-to-action? Successful social media campaigns are built around relationships, not around constant sales spiels. Yet the subtle insertions of “buy now” buttons and similar features within posts allow for a purchase possibility without the overly caffeinated jazz-hands of an annoying salesperson. According to Econsultancy, ecommerce orders coming from social media grew 202% in 2014, and the trend seems to only be increasing. Facebook alone accounted for 60% of all ecommerce referrals in 2014, but between evolving Facebook post algorithms and new efforts from other social media outlets, 2015 and beyond could have a very different story. In fact, as of February 2015, Pinterest held 41% of ecommerce traffic compared to Facebook’s 37%. 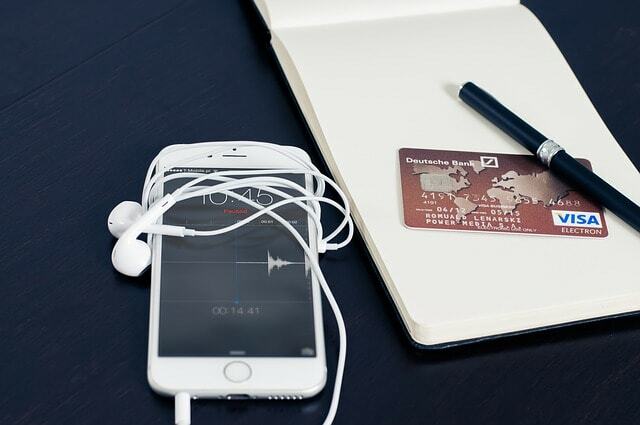 How are social media networks tackling ecommerce in new ways? Tumblr added Call-to-Action buttons to posts from certain websites including Etsy and Kickstarter in late 2014, and in March 2015 these “Buy Now,” “Pledge,” and “Get Involved” buttons also appear within mobile posts via the Tumblr app. Also in March, Instagram allowed retailers to link to product pages from their Instagram ads, bringing potential customers directly to external checkouts. In June 2015, Pinterest launched “Buyable Pins” with live prices displayed and an ability to buy directly through Pinterest via Apple Pay or a credit card. Users can search with price filters, see color options, and more. In July 2015, Facebook expanded their “Buy Buttons” into an expansive shopping experience. A business’s Facebook page can now have a “shop” section, where users can browse and directly purchase items. This is part of a larger shift that seems to place more importance on pages than newsfeeds. Twitter’s “Buy Now” buttons launched in 2014, but they expanded their ecommerce services dramatically in September 2015 in partnership with Bigcommerce, Demandware, and Shopify, as well as some big retail brands, including Best Buy. Like Pinterest and Facebook, purchases can be made directly through Twitter, never sending users away from the app. Even after the sale is complete, social media still can remain a powerful part of the ecommerce equation. For example, happy shoppers can give testimonials and reviews, or coupon codes can be gained by sharing news of a purchase on a social stream. Social media is all about joining a larger conversation. Remembering that these posts and shares can be enriched by responses is another way to further these connections. Ecommerce was once a way of buying that made people nervous, but that phase seems to be behind us. We are entering a new phase of online retail, one where social media plays an extremely powerful role. Make sure your business is taking advantage of the possibilities.